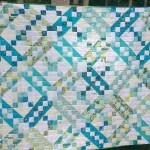 Update: Quilted and bound. 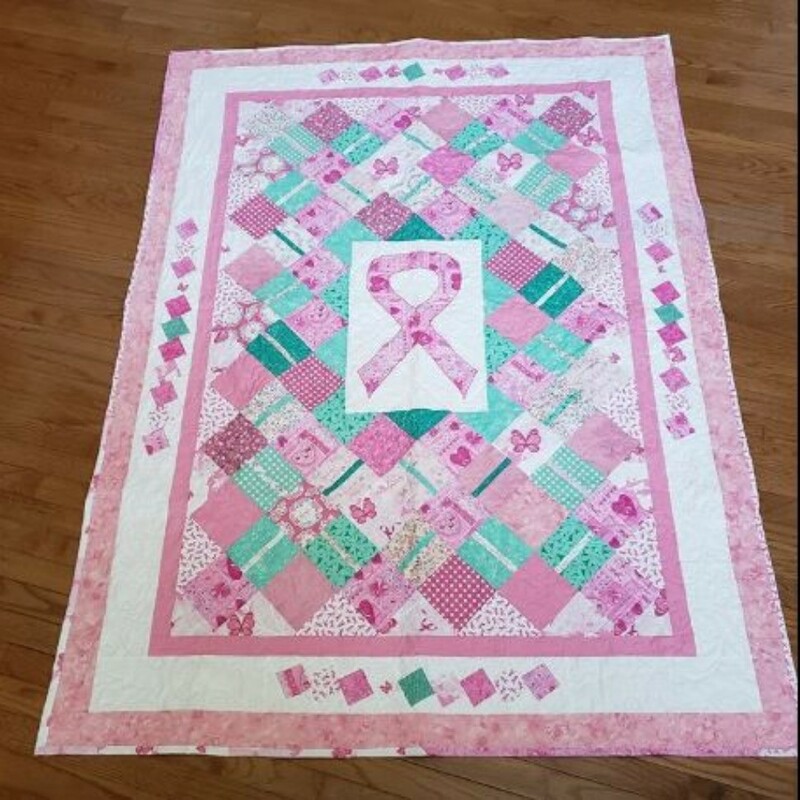 - A breast cancer survivor requested a pink ribbon quilt. She wanted a big ribbon in the center. I added some light green for accent. I modified Jordan fabrics Ribbon pattern to include a pieced rectangle that I could applique a pink ribbon onto. This is what I came up with. 55 x 75"